Falcom's re-imagining of Ys IV for the Playstation Vita featuring the party system from Ys Seven. Ys: Memories of Celceta is Falcom's re-imagining of Ys IV for the PlayStation Vita. The game was originally published in Japan on September 27, 2012 and XSEED brought the title to North America in late 2013, while NIS America handled the European release a few months later in 2014. Two versions of Ys IV were released in 1993, Dawn of Ys for the PC-Engine CD and Mask of the Sun for the Super Famicom, but neither of them were developed by Falcom themselves. 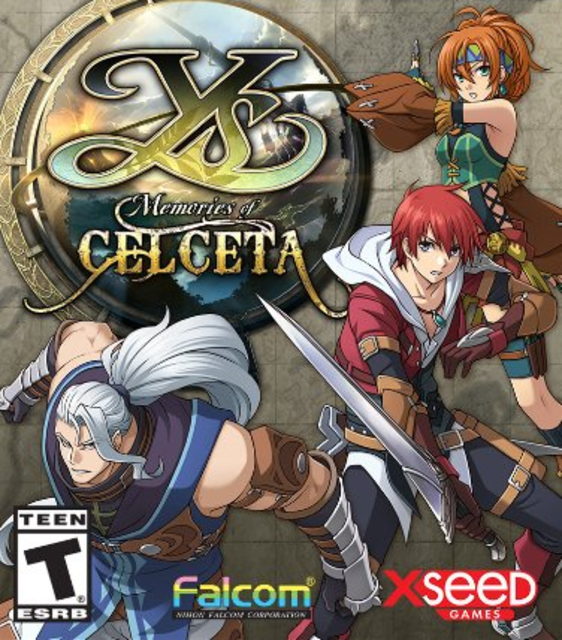 Memories of Celceta was Falcom's modern interpretation of the story outline they created for the previous two titles and featured many of the gameplay mechanics introduced Ys Seven. Adol Christin: After loosing his memories after traveling through the forests of Celceta, Adol now must travel back to the forest and begin his quest to recover his memories. Karna: A tough and cheerful girl from a village within the forests of Celceta who is well trained it hunting. She appears to have met Adol before he lost his memories and helps him on his adventure. Duren: A strong man who is the kind of person that can not help but aid others when he sees them in trouble. Because of this he decides to help Adol on his quest to get his memories back.